Do we treasure the life that we have with those we love? Let’s plunge into the Deeper Waters and find out. It happened Saturday and came out of the blue. None of us were expecting it. My wife got a call from my mother, probably because I hadn’t been feeling well and my Mom didn’t want to tax my voice. Anyway, I heard my wife asking about “her” over and over and knew something was wrong. At the start, I thought it was my aunt Ruth back home. It wasn’t, but it still wasn’t good news. I had an idea what was going on when it came to talk about “putting her down.” You don’t say that about your aunt. You say that about pets. Growing up, cats have always been a part of my life. The first one was a cat named Subway, so called because we lived in a mobile home and she ran under it first when we got her. I remember when we had to put her down, though I didn’t understand why. I did know we wouldn’t be waiting long to get another cat. The house was too empty. I was already looking in the classifieds in the newspaper. That weekend, Stormy came into our lives. When I left home, Stormy was still there. Then, one day later on, sometime after I had married, my Mom called to tell me she had lost Stormy. I had no idea he was in bad health. Stormy had been her favorite and losing him was a major hurt to her. Along the way also, Allie and I rescued a cat. That was interesting since she’s always been a dog person, but a cat was our first pet. Apparently, cats are with me wherever I go. Shortly after Stormy’s passing, my sister worked and got my mother a new cat that she wasn’t expecting. This one is named Reagan. Then my Dad was out doing his work and found a place with a cat that was super affectionate, but they had to get a new home for. I don’t remember the reason, but my parents talked it over and before too long, Smokey came to live with my parents. Smokey had been playing all the week earlier last week, but then Friday things changed. She didn’t want to move and she actually screamed when my Dad tried to pick her up, which is unusual since I have been around her several times and never heard her make a sound. They knew something was wrong. They took her to the vet and found out it was kidney failure. Medicine could help some, but it would only be a couple of weeks of pain. They were all together when they decided to put her down. 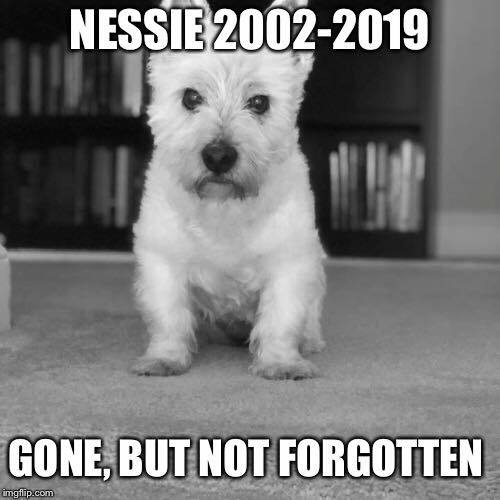 After being with my in-laws when their dog Nessie was put down, I have asked a couple of vets. They have all told me the same thing. Putting an animal down never gets easy. When things like this happen, we always say we’re going to learn to treasure more the time that we have with the ones we love. We don’t. It is our human condition I think. We so hunger for eternity that we think every moment is like it. When things are good, we take them for granted and say “It will always be like this.” When things are bad, we lose hope and say “Things will never change.” We always want to take the present moment to be eternal. Eternity is not with us yet. We should not treat the moment like it is. When good times come, celebrate them and be thankful, but do not take them for granted. When hard times come, mourn them and seek to change them, but do not act like the story is done at this point. Either way, cherish the people that you love. Celebrate them. My parents, I am sure, thought there were several years to be had with Smokey. They were wrong. I know when Nessie died, my wife was saying she wished she’d spent more time walking the dog instead of doing other things. That time can never be reclaimed. Don’t waste what you have. For those wondering, I do think a strong case can be made for animals being in the afterdeath. I recommend listening to my podcast with Dan Story on his book Will Dogs Chase Cats In Heaven? 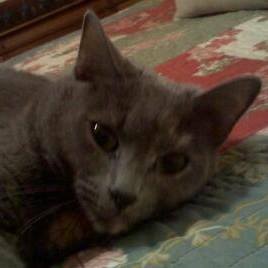 Please in your prayers be remembering my parents in the loss of Smokey.